A series of violent deaths is happening in New York City and the surrounded tri-state area and Robert Crowley, the Commander of the newly formed Violent Crimes Division is in charge of the investigations. Even the FBI becomes involved because one of the victims was a U.S. Postal employee. The killings continue and remain unconnected, excepting for the visions and images experienced by Justin Fuller and his mentor, the mysterious Linmer. Justin and Linmer experience additional visions and this information provides Robert with a vital clue leading to the possible identity of the killer. 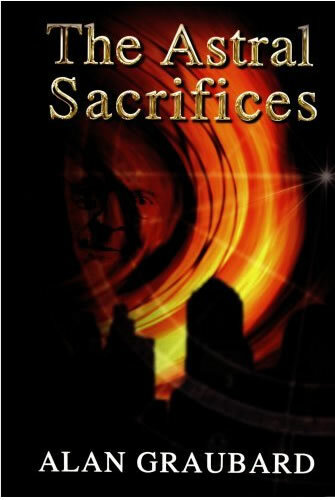 The Astral Sacrifices is a whodunit that combines the tradition of thriller crime drama with new-age psychic phenomena. The book captures the frenzy pace of New York City, the more serene times of the early 1950s and life in the varied suburbs that surround one of the most exciting places in the world. A host of characters leap from the pages and assume their real-life roles to the reader. The character of Justin Fuller is introduced in this first novel of THE PSYCHIC ã series.